Mrs. Lia Codrina Contiu has her first degree in English language and literature and her second degree in Business Administration and holds her PhD degree in Management as well. She is currently a Ph.D. student in theatre and performing arts at “George Enescu” University of Arts – Iași. She is Assistant Professor at The University of Medicine, Pharmacy, Science and Technology of Tirgu-Mures and University of Arts Tirgu-Mures and is course leader of the following courses: Business Communication in English, Management of Communication, Negotiation and Conflicts, Strategies and policies of Human Resources, Services Management, Project Management, and European Cultural Policies and Projects. She has published more than 40 scientific articles on teaching methods, theatre, communication, entrepreneurial education, organisational culture and Human Resources Management. She was involved in various national and EU projects as coordinator/member and she contributed to the elaboration of more than 10 books. She carried out many studies and researches on communication, entrepreneurship education, and organisational culture and participated in project management training and workshops, as well as business English teaching and innovative teaching methods workshops. 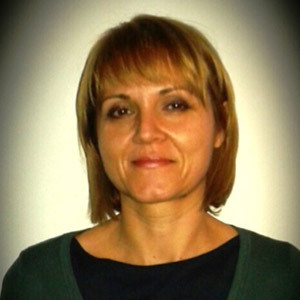 She is experienced in developing and implementing valorization initiatives and her strengths in dissemination and exploitation are well supported by an educational background and current experience as pedagogical materials developer. (2015), DanceWEB Jardin D’ Europe (2012), Erasmus Mundus Scholarship (2008-2010), Fulbright Scholarship (2007). She collaborates with the visual, media and sound arts, and is engaged in art-science collaborations (with astrophysics, philosophy, quantum physics). Between museum, gallery, site-specific and theater spaces, she collaborates as artist and international curator with the Institute MESA, an experimental curatorial, research and artistic platform. She has been lecturing at Moscow Museum of Modern Art, Garage Museum of Contemporary Art (Moscow), Oi Futuro (RJ) etc. 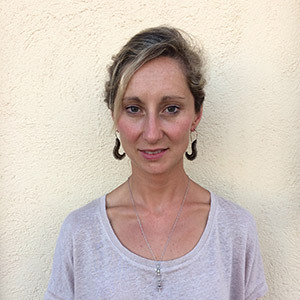 Currently living in Barcelona, she is a guest teacher and researcher at IAB, lectures in the Masters in Live Arts Practice and Visual Culture in Madrid. She is co-founder of the dance and live arts collective DuquesnayLavrennikov based between Bcn and Cph. From 2013-2017 she was an Artist in Residence at the Museum of Contemporary Art in Niteroi in RJ. 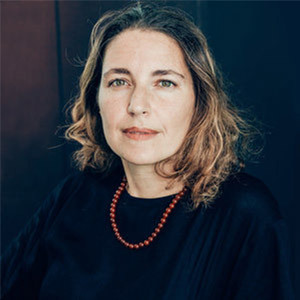 She co-founded and curated the Entre Serras Artist Residence Project (2015-2018) focused on artistic creation in rural spaces, and Icó Project, a live arts collective which toured in Brazil. Traian Penciuc is assistant professor at the University of Arts Târgu-Mureş and stage director. He obtained his Licence in Theatrical Arts with major in Stage directing (five-year university degree) at the University of Arts Târgu-Mureş. His Ph.D. in music was at “Gheorghe Dima” Music Academy, Cluj Napoca. Traian Penciuc has staged in Romania and Serbia. His repertoire includes Beckett, Shakespeare, Molière, LaBute, Mrozek, but also Romanian playwrights as Lucian Blaga. All his productions were invited to festivals and some were awarded. His main interest is in phantasmatic communication as a deep perception of moving images in theatre and opera, with extensions in culture and religious theatre materialized in his Ph.D. thesis, papers, and workshops. He continued with field research in the Indian religious theater aiming the duality representing/impersonating (for actors) and perception/believing (for the audience) of gods. In connection, he is researching Mircea Eliade’s conceptions about theatre and his Indian biography. Another research theme was the social shifting force of Bizet’s opera “Carmen” stressing on its influence on Nietzsche’s philosophy. Now, he continues his Indian project searching for deeper conclusions on the perception of gods in Indian theater, and researches on Samuel Beckett’s stagings in Romanian theater. 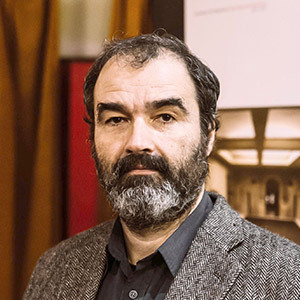 Armando Rotondi is Associate Professor and MA Acting Director at the Institute of the Arts Barcelona, validated by Liverpool John Moores University. He is officially habilitated as a professor by Italian Ministry of University. 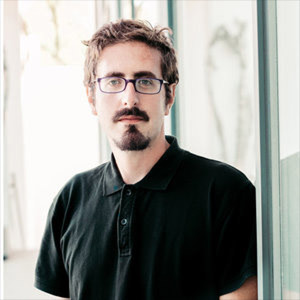 He is editor at “The Theatre Times” (New York) and founding member of the International Network of Italian Theatres. After a BA in Cultural Studies and Business at the University of Naples “Federico II” and an MA in Theatre and Film at Rome “La Sapienza”, he achieved his PhD at Strathclyde (Glasgow). He has worked at the following Universities: Strathclyde, Naples “Federico II”, Naples “L’Orientale”, Nicolaus Copernicus (Poland), Bucharest, Comenius (Bratislava), Verona. As a practitioner, he is festival director, consultant, journalist, writer and cultural manager working at international level. As a scholar, he has been author of: 6 authored books; 3 edited books; almost 30 articles in journals; almost 30 book chapters; 3 edited plays; 4 published translations; 2 forthcoming translations; more than 10 academic reviews; 53 voices in Dictionaries/Encyclopaedia; 4 invited lectures; almost 50 papers delivered at international conferences (UK, USA, Italy, France Germany, Ireland, Poland, Turkey, Romania, India, Czech Republic). conferences in France, Greece and Italy. Katie O’Byrne is an Irish theatre maker who received an MA acting with distinction from the Institute of the Arts Barcelona. Since graduating, she has performed her one-woman show ‘8’ as part of the Barcelona Solo Festival and she has performed in and was assistant to director Valentina Temussi for a physical theatre project in the Liverpool Arena for UniGlobal. Katie is a founding member of Rule of Three Collective. The collective had a sold out run of their debut show ‘Free EU Roaming’ in Dublin Fringe Festival which they wrote and performed and will be remounting this March. She has a BSc Neuroscience which she undertook alongside an Ad Astra Performing Arts scholarship for Drama under the mentorship and training of director Kellie Hughes and many guest practitioners. Through this, she also partook in yearly week long intensives in Roy Harte technique for voice and Corporeal Mime for physical theatre. With Ad Astra she was involved in a number of performances, rehearsed readings and works in progress. She has performed in and been a creator of work previously in festivals in Dublin, including Smock Alley’s Scene and Heard and Collaborations festivals (Turning point 2016 , I am Bear 2015) and Dublin Fringe Festival (TWENTY FIRST 2015, Cuomo 2013). 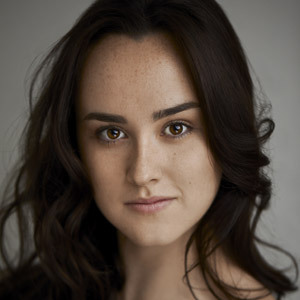 She was cast in the National Youth Theatre under the direction of Conall Morrison in 2013, performing in the Abbey Theatre’s Peacock stage and the Everyman Theatre Cork. She is currently exploring the use of theatre as a science communication tool and will be performing her piece about neuroplasticity as part of Smock Alley’s Scene + Heard Festival this February.